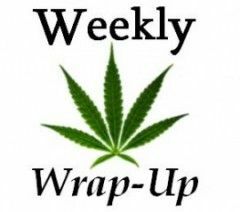 Medical marijuana safeguards suffer a setback in Congress, Scotts Miracle-Gro divests overseas to focus on North America opportunities – including MJ – and Texas approves a CBD producer. The powerful U.S. House Committee on Rules rattled the marijuana industry when it blocked floor votes on key amendments that protect medical marijuana from federal interference. The maneuver doesn’t kill the protections – they can still be kept alive by the Senate. But it underscores that the marijuana industry’s foes in Washington DC can still reverse legalization gains and and make life difficult for cannabis businesses. “I don’t think the industry is going to be safe until federal law is changed,” said Bill Piper, national political director for the Drug Policy Alliance. The scuttled measures include the Rohrabacher-Blumenauer Amendment (previously known as Rohrabacher-Farr), which prohibits the U.S. Justice Department from using federal dollars to go after MMJ programs. Congressional lawmakers have passed Rohrabacher every year since 2014. Congress and the federal government have several options to make life difficult for marijuana businesses. For starters, anti-marijuana Attorney General Jeff Sessions could ignore the Rohrabacher protections and order federal prosecutors to increase marijuana-related prosecutions, Piper said. “The biggest fear is prosecution. Even with the Rohrabacher amendment, that’s a threat,” Piper said. Piper noted the Rohrabacher amendment has been the subject in just one court case, in 2016. That’s when the 9th Circuit Court of Appeals in San Francisco ruled that the DOJ must comply with the Rohrabacher-Farr Amendment. In his confirmation hearing, Sessions pointed out that other circuit courts haven’t ruled on the matter, suggesting that federal prosecutors could go after MMJ businesses in states under the jurisdiction of other courts that haven’t ruled on the matter. Piper also said the DOJ could roll back the Obama-era Cole Memo, which essentially outlines how MMJ businesses can stay safe from federal interference. Piper worries that marijuana businesses have become complacent about the need to defend the legalization gains of recent years. “I don’t think the industry felt that threatened by Trump or Sessions, which is a mistake on their part,” he said. The decision by Scotts Miracle-Gro to unload its overseas business interests positions the botany giant to gobble up a major chunk of the U.S. marijuana industry, according to one analyst. “It’s a natural progression for the industry,” said Scott Hawkins of Grun Strategic, a California MMJ consulting firm. Scotts will now reportedly focus on its U.S. business interests, including the cannabis sector, after selling off gardening businesses in seven international markets for $250 million. Hawkins believes Scotts could one day become the Amazon of the marijuana industry. Scotts’ initial focus may be on hydroponics, but Hawkins doesn’t expect the company to stop there. “I could see them becoming a controlling investor with companies throughout various sectors within the industry, not just horticulture products,” he added. Scotts already has acquired hydroponic and nutrient firms as well as lighting, hardware and fertilizer companies. Scotts could couple its focus on soil and nutrient additives with a focus on medical cannabis patient outcomes by supporting MMJ research, according to Hawkins. Put simply, money gives big companies the opportunity to expand. “Capital is the tip of the spear for scale,” Hawkins said. Industry insiders in the Lone Star State say the 2015 Compassionate Use Program is unworkable. That’s despite the fact the Texas Department of Public Safety has now issued its first CBD production license from among three preliminary permit winners. “We believe it’s fatally flawed for a couple of reasons,” Michael Blunk, the executive director of the Texas Cannabis Industry Association (TCIA), said of the law establishing the state’s limited CBD program. According to Blunk, Gov. Greg Abbott has been trying to hamstring the program since it first passed, including a request from the governor’s office that just three CBD permits be issued – down from the state’s original plan of 12. Combine that with the estimated 149,000 epileptic patients in Texas that the CBD program was designed to serve, Blunk said, and there are serious questions about whether the program will work as intended. In addition, all three of the preliminary license winners are in the Austin area, meaning that patients in other parts of the state could suffer when it comes to CBD distribution. “You don’t have a single company based in the Dallas metro area or the Houston metro area, the two most populous areas of the state,” Blunk said. Other problems have plagued the rollout – many of them chronicled by the Houston Press – such as the requirement that patients obtain a physician’s prescription instead of an MMJ recommendation. Looking ahead, however, Blunk is optimistic. He thinks that broadening the medical cannabis program in Texas will be a heavy political lift – but not impossible. The earliest that could happen is 2019, because the Texas Legislature only meets every other year and the state has no citizen petition system. “It’s coming to the state. It’s just a question of being able to battle the political power,” Blunk said. It seems our conservative Texas Governor (former Attorney General) Greg Abbott, not to mention our politicians, fully oppose broader marijuana legislation. Until these backward thinking people are voted out for compassionate liberal officials that will start to move this State forward in time, Texas will certainly continue to remain in the Dark Ages. There is a CBD program in Texas, as explained in the article. As far as an MMJ program to follow, don’t hold your breath. Greg Abbott has vowed: “As Governor, I will not allow it.” Even though a 2016 poll showed that 71% of Texas voters would approve a broader MMJ program then CBD. A more recent University of Texas poll showed a whopping 83% approval rating for MMJ. Hopefully this new generation of Texas (with strength in numbers) will vote out those that oppose their will. Greg.